The story of Henry Ford's on-again, off-again involvement with the Fordson tractor is a curious one. Just after World War I, Henry Ford revolutionized the tractor industry when he employed mass production assembly lines to build the first Fordson. With his assembly techniques, Ford could offer his tractors at lower prices.  Other manufacturers responded. International Harvester brought out the Farmall using the same production techniques but also offering the ability to cultivate row crops. By 1928, fewer and fewer Fordsons were being sold. Henry Ford lost interest in tractors, wanted to concentrate on cars, and got out of the ag equipment business. He stayed out until 1939 when he charged back in to the market with a new partner, Harry Ferguson. Ferguson was an Irish inventor who had been forced by catastrophe to come up with a better way of attaching implements to his tractor. Some early tractors, like the Fordson, had a disturbing tendency  when the plow they were pulling hit a large enough rock, the plow would stop, and the tractor would try to keep going. Many tractors would pivot on the drive wheels, flip over and often kill the driver. The British government ordered Harry Ferguson to cure the problem. 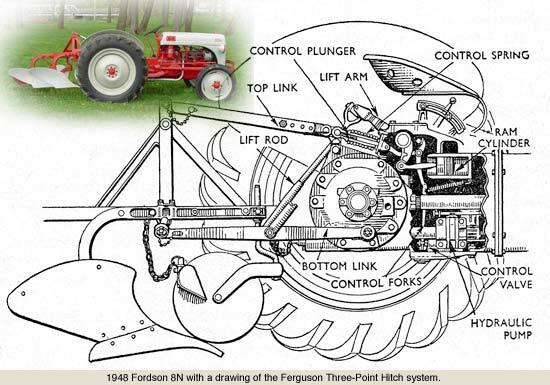 Ferguson came up with the idea of mounting the plow both low on the drawbar and up higher in a triangle arrangement. If the plow hit a rock underground, the increased force would transfer onto the upper link point. That would force the front of the tractor down rather than up. He took the idea one step further, adding a hydraulic mechanism to easily raise and lower the implements and automatically control the depth of the plow. He built a few of the tractors in England in partnership with the David Brown company, but sales never took off. 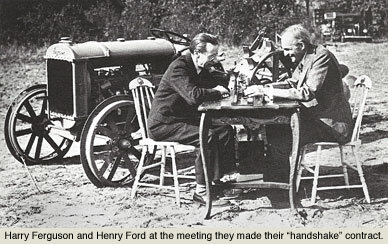 Then, in 1938, Ferguson demonstrated his tractor to Henry Ford on Ford's Fairlane estate farm. Ford was so impressed that the two men quickly worked out a partnership deal and shook hands on it. They never wrote out a contract, but Ford was back in the tractor business. Within months, the Ford tractor with the Ferguson hitch system was at dealers. It was a small tractor that out-plowed machines weighing far more. The hydraulic system made control of the implements precise and easy. The tractor had a four-cylinder vertical engine that produced 17 hp on the drawbar and 23.5 horsepower on the belt in Nebraska tests. The tractor sold for $600, a full $100 more than the Allis-Chalmers "B" or the IH Farmall "A." But Ford claimed their tractor could do more work. By 1942, the Ford-Ferguson had captured 20 percent of the tractor market, compared with IH's 40 percent. By that year, there were 100,000 Ford-Fergusons in the field. Ferguson wanted to increase production to a million tractors a year. But by the mid-1940s Ford's tolerance of the handshake deal was growing thin. A questionable accounting study claimed that Ford was loosing money on the deal, and so the company announced that another company was going to take over sales of the new Ford 8N tractor that, by the way, had a very similar three-point hitch system.  Ferguson sued for patent infringement and, after years in court, eventually settled for $9.25 million. In the meantime, Ferguson set up his own manufacturing operation, and Ferguson tractors began appearing in American fields. But the protracted legal battle had opened up the three-point hitch patents to exploitation by other manufacturers. By 1953, Harry Ferguson was aging and suffering from bouts of depression. So he merged his company with Massey-Harris. The new Massey-Ferguson company became a major player in the tractor market of the late 20th Century.